The short answer is – there is a shortage of home inventory under $200,000. There just is. There are approximately 30,000 + listed homes in the MLS and First MLS system, down from the 48,000 + homes at the height of the market. Competition is stiff for homes that are priced under $200,000; downright fierce for homes priced under $150,000, mind-numbingly crazy for homes priced under $100,000, and next to impossible to get without cash for homes priced under $50,000. The cost of land and building is high, so builders aren’t really building any communities for less than $200,000 in high demand areas. Be prepared, be VERY prepared. Be Flexible – Again With Your Move-in Time Frame. A flexible timeframe of when you need to purchase can make a huge difference. Most families choose to purchase when the kids are out of school, making it easier to move and coordinate the new school during summer breaks. This is why spring through the beginning of fall is the peak time for purchases. If you can purchase outside that time frame, you’ll have less competition. Losing Doesn’t Mean “Don’t Buy”: I can’t tell you how many times buyers get frustrated and say “…this must be a sign that I shouldn’t buy“. 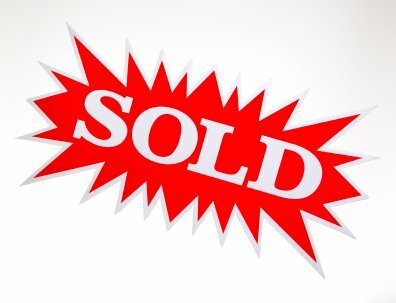 No, it’s a sign there’s more buyers than homes. Stop Always Trying To Get A Deal: A seller will be willing to give you a deal when they are desperate for buyers. Offering $5,000 to $10,000 less than asking price on a home just because it needs work doesn’t mean that the sellers and their agent haven’t done that already. As a matter of fact, they may have priced it low so they can have a bidding war and get more for the home. The buyer who wins the bid today is the buyer who learned that hard lesson yesterday. If you follow these few tips you can be well on your way to getting into your perfect home. 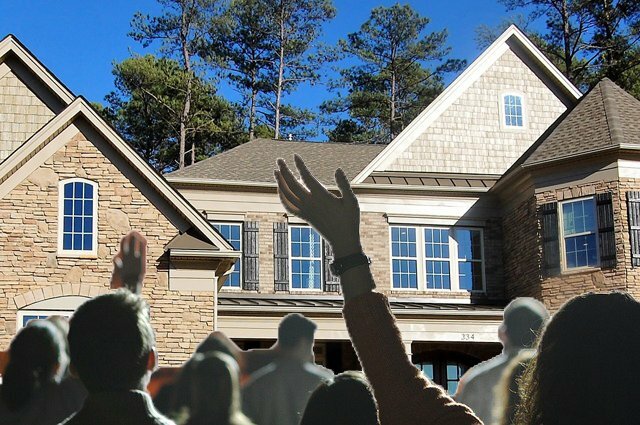 If you want to buy a home in Gwinnett County and the down payment is standing in your way, read on and learn about the Gwinnett County Homestretch down payment assistance program. 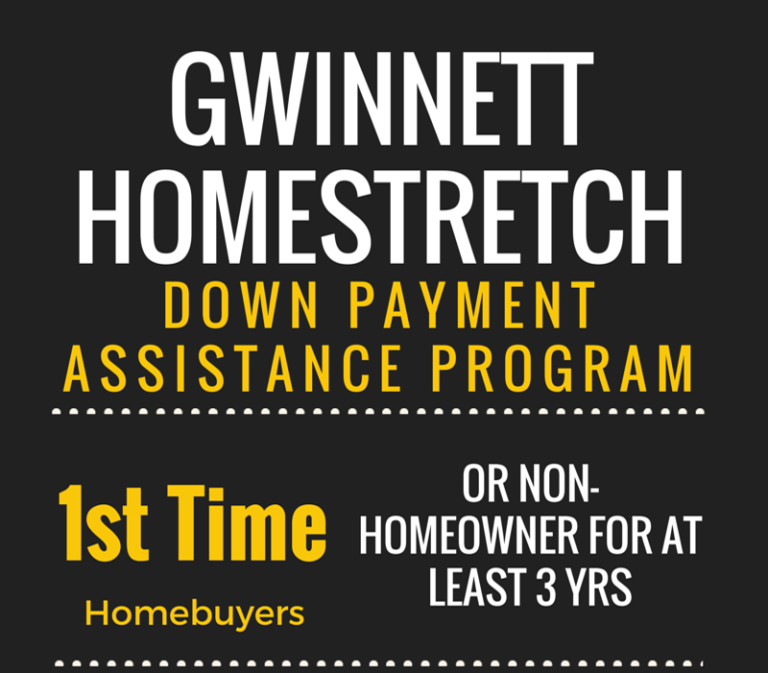 The Gwinnett Homestretch program gives you $7,500 towards the purchase of your home, which can be used towards your down payment and/or closing costs. Of course, every one wants to know if they’re eligible; what’s required – basically, what’s the catch? Well, there are some “catches”, but they’re more than worth it when you find out what they are. We’ve included this handy-dandy info graphic below to make it easy to see just what’s required, just click the image at the end of this article for a full view. Yes, You Do Get $7,500. It is in the form of a loan, But there are no payments, and no interest charges for six years as long as you occupy the property as your primary residence. At the end of six years, if you do still occupy the property as your primary residence, the loan is forgiven. This means you will not pay any money back, you won’t owe anything, and later on after six years, If you decide to sell this property, you don’t have to pay this loan back. Now I need to stress a key point – you must live in the home; you must be there at least six years. It bears repeating, If you don’t live there six years, you will have to pay it back. It’s good to note, though, if you’re in a position where you have to move before 6 years, the principal balance begins a 20% reduction each year after the second year. So if you’ve lived in the home three years, you will have two 20% reductions on the $7,500, so that your balance will not be at 100% of $7,500 but it will be 40% lower. The Program Is For 1st Time Home Buyers: – don’t get discouraged if you’ve owned a home before. A First-time homebuyer is defined as someone that has not owned a home within the past three years – or – as someone who has never owned a home. If you fall into this category, you’re well on your way. You Must Have At Least One Of Your Three Credit Scores At 640 Or Higher. No exceptions. If none of your three credit scores is above 639, You do not qualify. Your Debt vs. Your Income Cannot Be More Than 43%. That means for every $1000 in income you earn, you can have no more than $430 in expenses. This will include your new mortgage payment, and any other bills you have. There Are Price Limits. If you’re buying a new construction home, your maximum price is $199,500. If you’re buying an existing home (resale), your maximum purchase price is $161,500. You Must Attend A Homebuyers Counseling Class from a HUD approved counseling agency. There Is An Application Process. The application consists of a few things including; your purchase contract; your pre-approval loan letter; your credit report; your home buyer class certificate. There are additional items as well that are included in a checklist. The Home You’re Purchasing Must Pass Homestretch’s Program Inspection. What this means is, the Homestretch program does not work with any form of escrow/repair–type loan, and you can purchase a short sale, but you can only apply for the homestretch program once you have a full short sale approval from the seller’s bank – AND the short sale home must also pass Homestretch’s inspection. There Are Income Limits. See infographic to your right for details. We’d be happy to help you with your home buying needs. We help you find a lender to meet your needs, find the right home for you, help with the paperwork for the down payment assistance, and all other aspects of the home buying process. Hamilton Mill is a premier swim/tennis community located within walking distance of Hamilton Mill Golf Course, and is part of the popular Mill Creek School System. Close to all Buford shopping areas, homes in this community feature many modern open floor plans, open gourmet kitchens, 3 car garages, and typically range from 4,000 – 6500 sq. 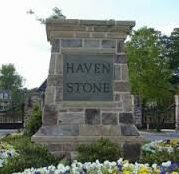 ft.
Havenstone Subdivision is one of the premier gated communities in Snellville. 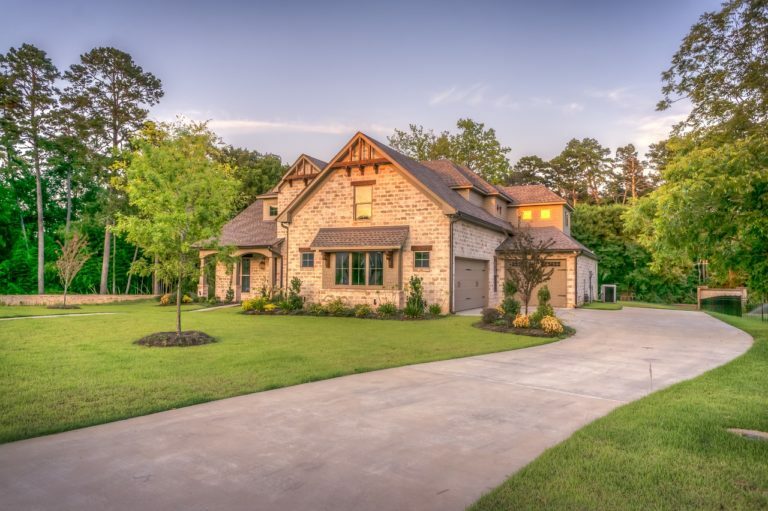 Located in the popular Brookwood School District, this community boasts executive style homes with premier high end finishes, typically 4 sides brick, many with stone accents, basements, gourmet kitchens, fabulously large master suite, and much more. Havenstone residents can enjoy use of the tennis courts, pool and clubhouse. Havenstone is conveniently located so very close to major shopping like the Shoppes at Webb Gin, The Mall at Sugarloaf, tons of restaurants and many other forms of shopping on Highway 124. Need help viewing a home? 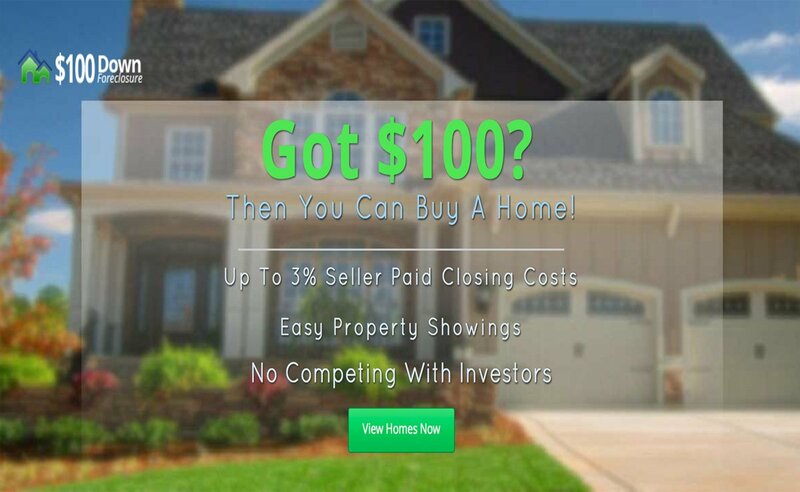 Contact us via email or call (678) 608-9800 to set up a viewing appointment *. Want a simple, easy way to buy a home? Don’t have a large savings reserves to put down a lot of money? Then consider HUDs $100 down owner occupant program. Click the image above to get more information.